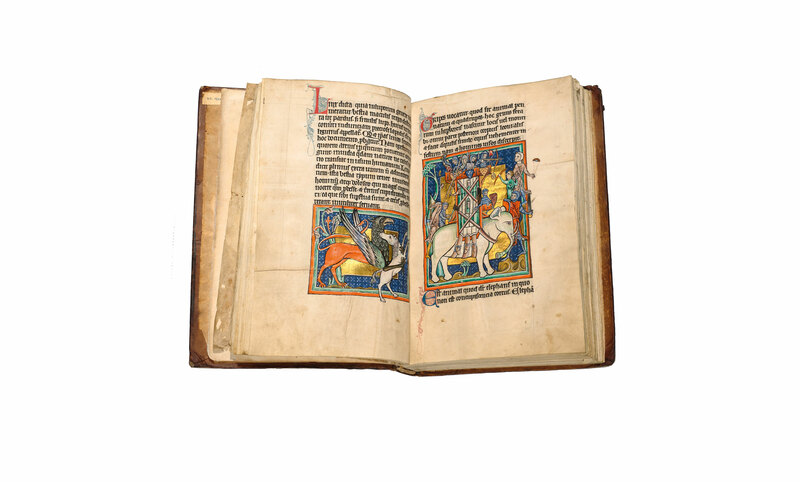 Of the approximately one hundred medieval bestiaries that survive, most were made in England, and most date from between the mid-twelfth and late thirteenth centuries. The creatures they describe range from the familiar (dogs, cows, owls, bees) to the exotic (lions, crocodiles, elephants, whales) and the fabulous (phoenixes, basilisks, dragons, unicorns). 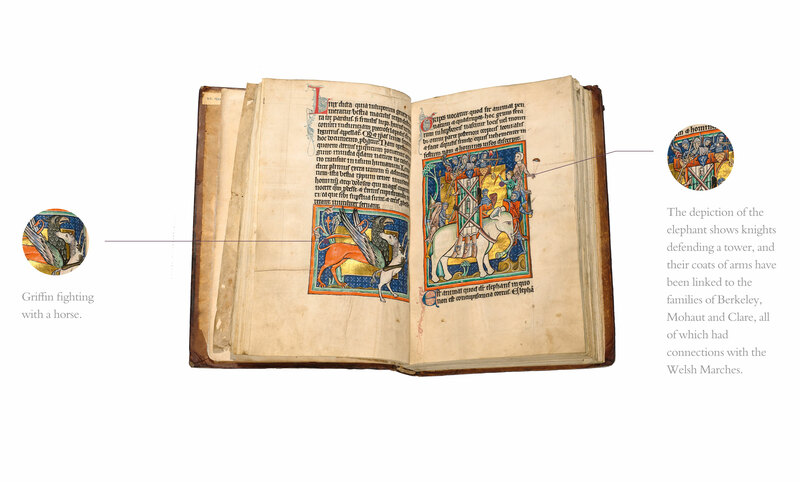 The monks who composed the manuscripts read about these marvellous beasts in classical encyclopedias, but bestiaries were not scientific catalogues; they were religious books. All beasts, from the cattle in the nearby pasture to the dragons of remote Ethiopia and India, exhibited certain characteristics, and those characteristics were not accidental, but had been created by God to instruct and guide mankind.